American Punch Company can adapt stock punch and die designs to meet your specific needs and requirements. 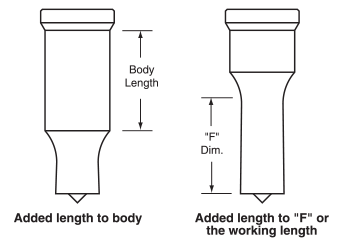 We can add extra length to the punch body or to its working length. When a job calls for punching leg up, a double body punch provides both extra length and strength. Adding a shear face reduces the tonnage required in certain applications. 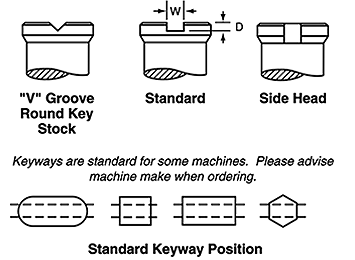 Keyways increase accuracy and repetitiveness. Here is a diagram showing the parts of a punch. 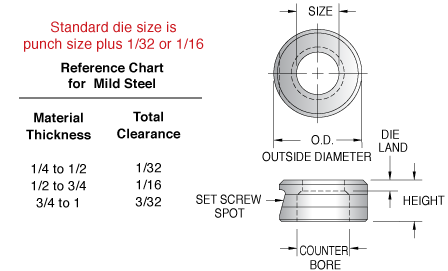 Refer to it when discussing the options you need with one of our punch and die experts. Contact us now to begin the discussion. Looking for standard dies and punches? Visit our Standard Ironworker Tooling page to find what you need. Modifications can also be made to the dies we manufacture. 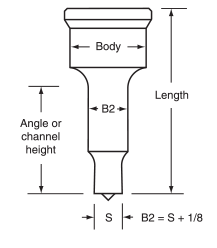 These include spot location, the configuration of the set screw, offset positions, and bevels. 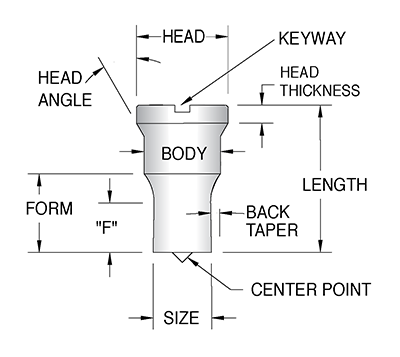 Here is a diagram of a generic die. It will help you when discussing the design options you need with an American Punch expert. Contact us now for the assistance you need.